Brown-Forman is the only major whiskey maker with its own cooperages. 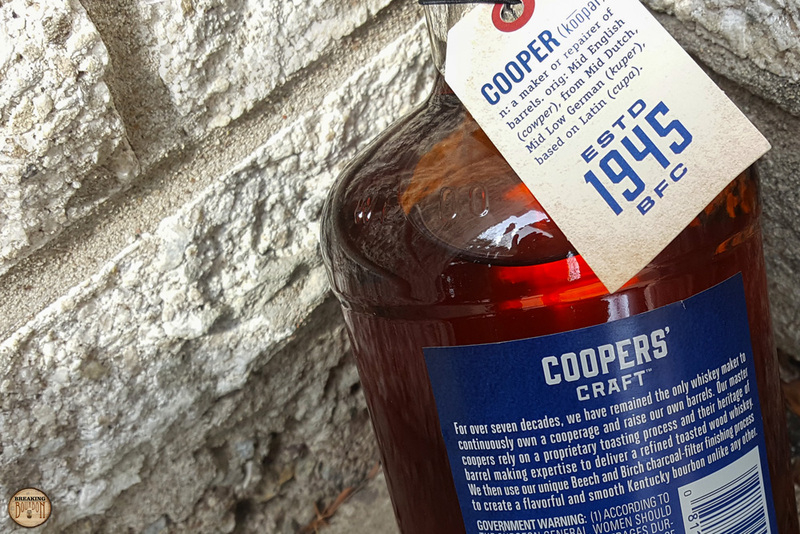 To recognize the cooperages’ contributions to Brown-Forman, the company released Coopers’ Craft Bourbon in honor of them. 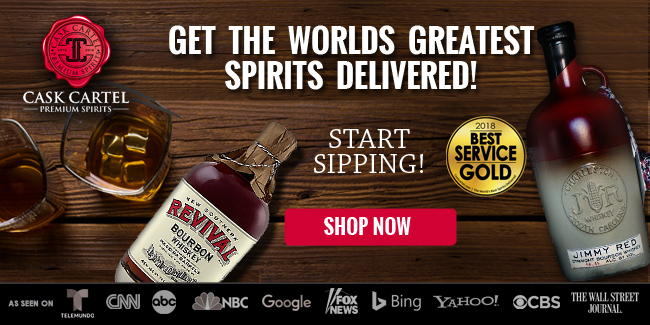 It is the first new bourbon brand that Brown-Forman has added to its permanent lineup in 20 years since Woodford Reserve. 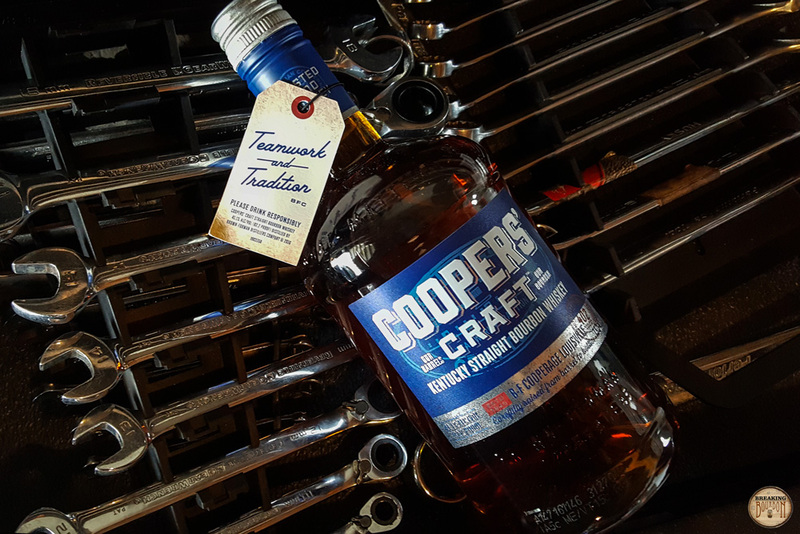 According to Brown-Form, Coopers’ Craft is made from a slightly different mashbill than Old Forester, with it having a slightly more corn and slightly less rye composition than Old Forester. 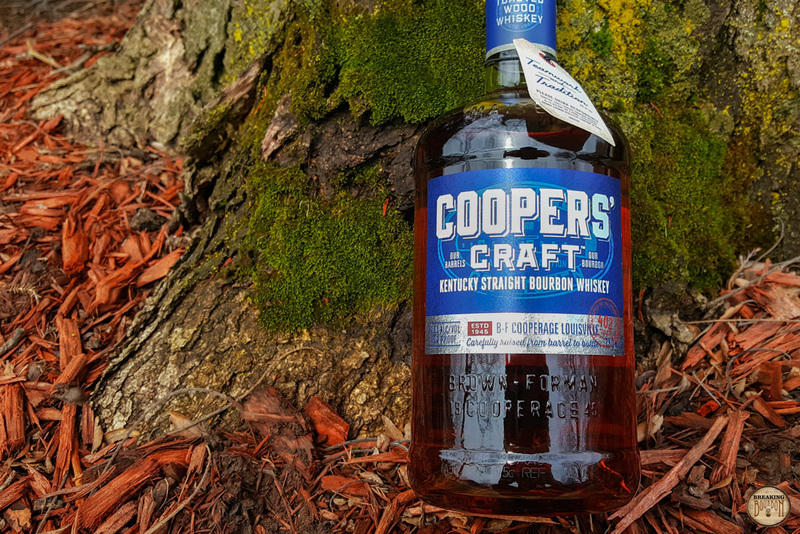 Brown-Forman states that Coopers’ Craft uses a special beech and birch charcoal filter finishing process. 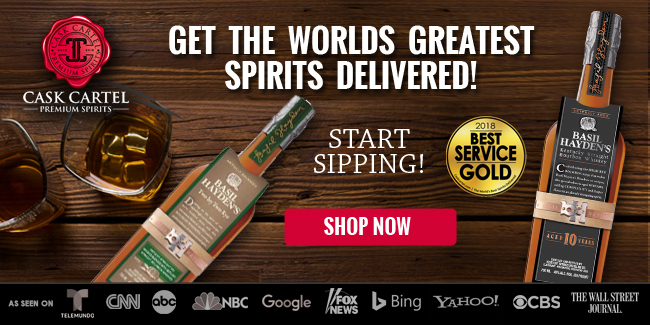 According to Brown-Forman spokeswoman Andrea Duvall, after the bourbon has aged four to six years, its filtering gives it extra smoothness and oakiness. A youthful nose of corn, ripened bananas, lightly toasted oak, and whiffs of grain. These delicate notes don’t carry much depth, and what’s presented up front is all you get. 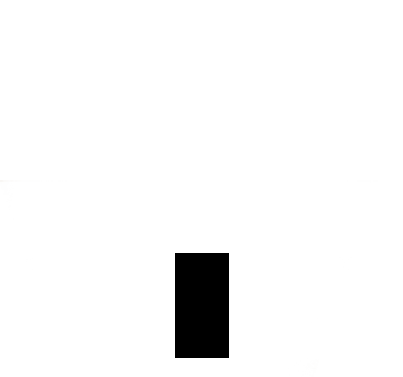 While the nose probably won’t turn anyone off, I highly doubt it will win over any big fans either. 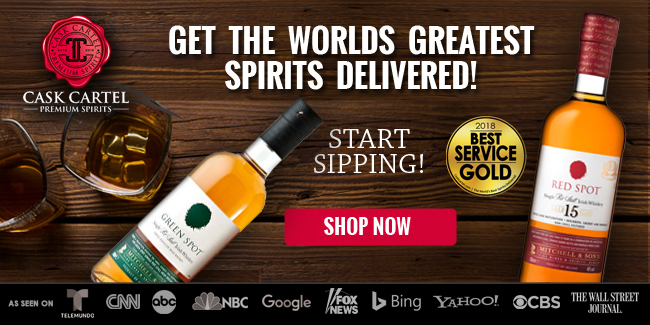 This is a straightforward and easy to drink whiskey. 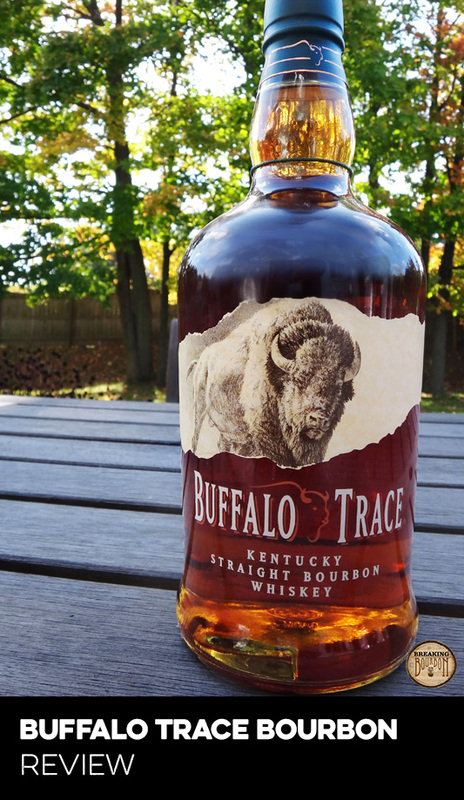 Simplicity is the name of the game with this bourbon, both in it’s thin mouthfeel and simple flavors. Corn, oak, orange rinds, and light hints of green pepper are all present but none dominates the flavor profile. The finish is mellow with very little heat throughout. Vanilla, leather, and toasted oak are present. The initial sweetness quickly morphs to a dry oaky finish that lingers for a while and ever so slightly overextends its stay. 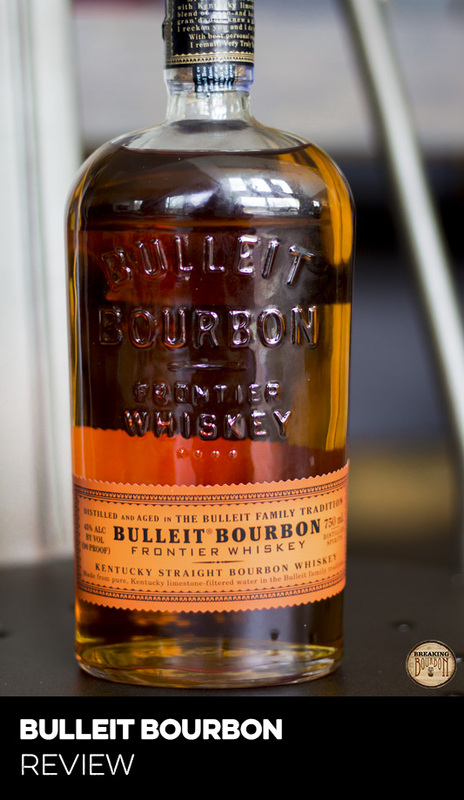 A big claim of this bourbon is its unique filtration process. The beech and birch charcoal filter definitely imparts a noticeable layer of toasted oak to the flavor profile. That said, it doesn’t do anything to overcome the youthfulness of the bourbon, even though it’s a blend of four to six year old bourbons. 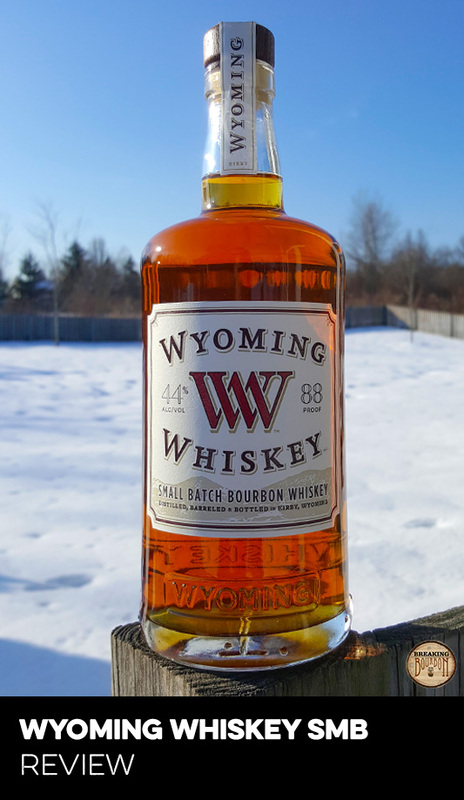 What ultimately is presented, is a subpar bourbon that isn’t able to stand out from the crowded space it’s playing in and is easily forgotten. With the bourbon market red hot and more products hitting the market at higher and higher prices every day, it feels like it should be easy to celebrate a bourbon that costs under $30. 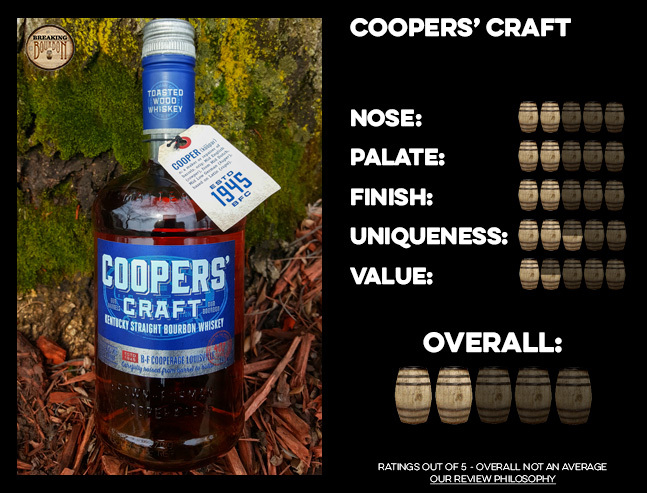 The problem is, Coopers’ Craft brings nothing new to the table, and doesn’t have much to offer. 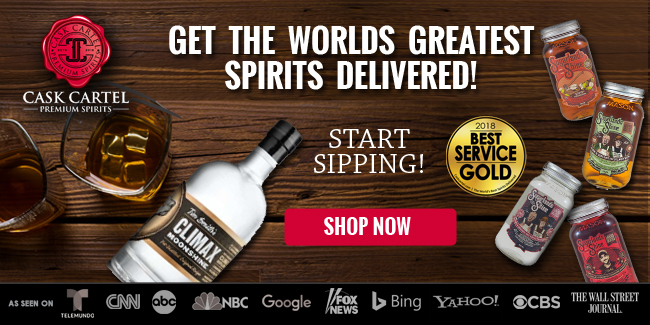 Due to its low proof and lack of a strong flavor profile, this isn’t ideal as a sipping bourbon, and at best would be used in a cocktail and more likely in a mixed drink. 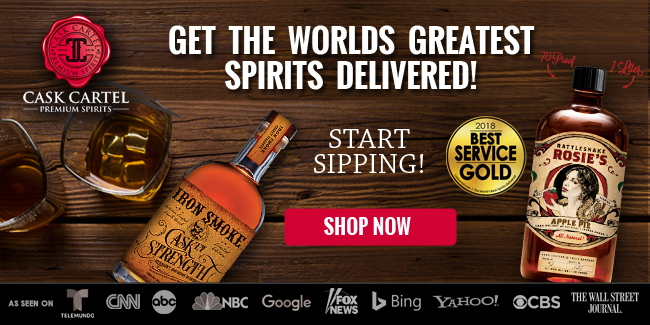 There are multiple bourbons I’d recommend for $30 or less that deliver a fuller flavor profile. 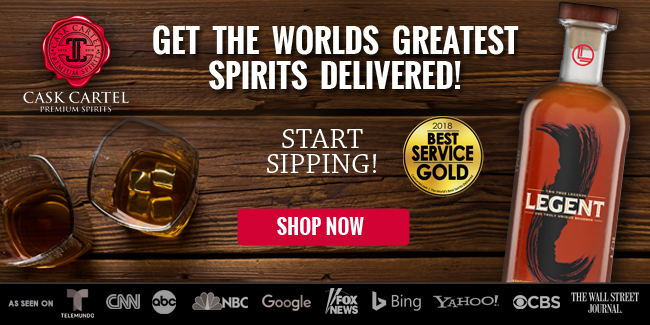 Honestly, I’m surprised it’s priced so closely to Woodford Reserve. While Woodford doesn’t really break any new grounds, it still delivers a slightly better tasting experience. Unfortunately forgettable, this is one tribute bourbon that’s not worth seeking out. It’s surprising to see the flavor profile that Brown-Forman chose for its first new permanent bourbon brand in 20 years. While I never go into a review expecting to be wowed, I did have higher expectations for this to be better than it is, especially since it shares a mashbill similar to Old Forester. In actuality, I walked away from my time with this bourbon confused and disappointed. The end result is a lackluster and quickly forgettable bourbon that’s at a price that’s higher than it should be for what it is. And it’s not that Brown-Forman can’t produce good new whiskey either. Their Old Forester Whiskey Row series seems to get progressively better with each release. 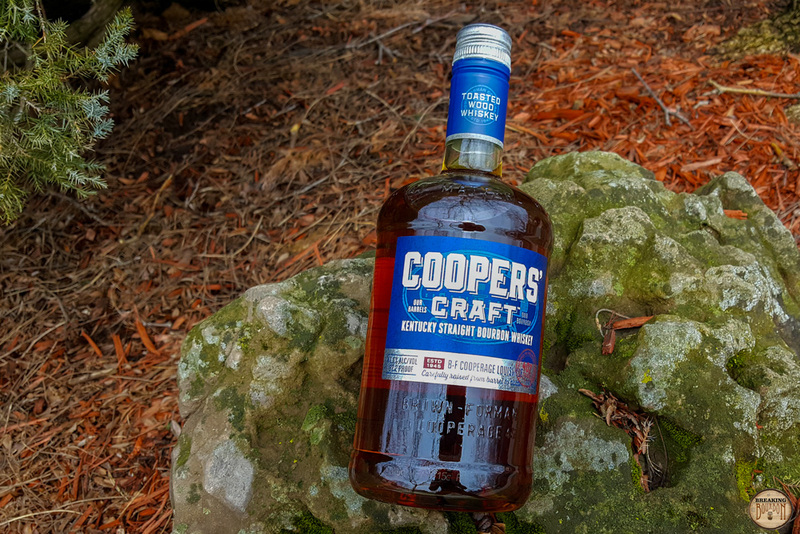 Coopers’ Craft feels like it should have potential, but in the end, it just never lives up to the expectations its older siblings in the Brown-Forman family have set. For the price, there are bourbons that provide a more complex and flavorful sip, or would provide a better base for a great cocktail. Additionally, while this would mix well, there are other bourbons on the market that sell for a lot less that would work just as well with soda. Due to all of this, this is one bottle that may end up sitting on my shelf for a long time to come.